The American Friesian Association (AFA) was organized in 2004 by a group of Friesian enthusiasts who recognized the need for an American-based registry for purebred and partbred Friesian horses. The AFA’s mission is to preserve and promote the purebred Friesian horse in America, to promote the Friesian Warmblood (Partbred) horse in America, and to serve the needs of the owners and breeders of these horses. The AFA is committed to the breed standard of the purebred Friesian horse, as interpreted from the Friese Paarden Stamboek (FPS), and recognizes and encourages the breeding of sound, healthy horses suitable for performance in the modern equestrian world. Our goal is to maintain the quality, beauty, and uniqueness of the Friesian horse as it has been known throughout history. The AFA is also committed to high standards of integrity, honesty, and fairness for all horses and members. 1) Respectfully observe the model and the breed standard of the European studbook for the purebred Friesian horse. Maintain a studbook of purebreds that can provide DNA evidence or appropriate documentation of purebred heritage. 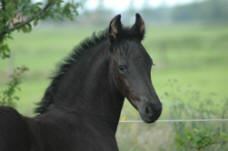 Maintain a separate studbook for Friesian Warmbloods (Partbred Friesians). Offer quantitative inspections of all horses. Horses will attain various status levels according to their scores for conformation and movement. Offer performance testing of all horses. Horses will attain various status levels according to scores earned for their performance ability or abilities. 2) Provide a registry by and for Americans. Supply clear and fair information for the inspection and grading process. Maintain unbiased, fairly conducted inspections that recognize a horse’s suitability for modern sport horse disciplines. Facilitate inspections by licensed judges who are familiar with the Friesian breed standard and the American equine sports disciplines. Embrace all animals of Friesian heritage, whether purebred, or a derivative. Provide clear, concise and timely communication to our members. Promote the American Friesian as a breed to be shared with others and enjoyed at public venues. Tracking will be available for all show scores of stallions, mares, and their offspring, cross-referenced. Tracking will be available for inspection scores for all horses and their offspring, cross-referenced. DNA testing and tracking will be available for all Friesians and their derivatives, cross-referenced. 4) Create and implement Annual and Lifetime Awards in several disciplines and/or categories for all horses. 5) Promote and encourage understanding of the registry and its horses. 6) Act as public liaisons for promoting the AFA, the Friesian horse, and the Friesian Warmblood (Partbred Friesian). Weight training when it comes to sports is mostly considered to be in the domain of the more extreme sports such as soccer, baseball, football, and Olympic sports such as shot put or discus. It’s simple to see why: All these sports contain well-built athletes that rely on strength and power to excel at their game. As the level of required performance increases, other athletes have also brought additional strength and weight training to their exercise regimens. Certain facets of several sports need both strength and power such as jumping and shooting in basketball and also driving in golf, for instance. Horse riding, when either taking part competitively or just for fun, can most likely be enhanced with weight or strength training to help with control, strength, and balance, particularly when it comes to the body’s core. Professional trainers recognize that virtually any style of horseriding will demand strength and power. Therefore strength training is used to assist individuals like professional riders that did not weight train in the past as it was regarded as of little advantage. Horse riding demands powerful legs and abductor thigh muscles in order to maintain control of the horse, in addition to a powerful pair of abdominals, shoulder, back and lower back muscles to get the right posture and rein control. So we recommend that anybody who wants’s to get serious, takes part in a horse riding workout. One of the best ways to improve the strength of the legs is with squats. 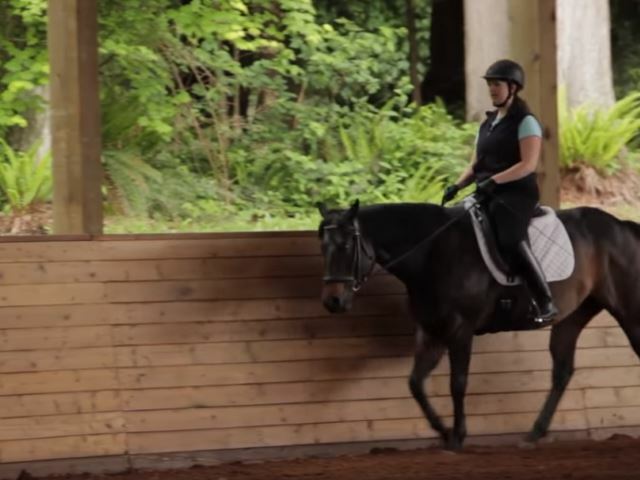 Performing heavy squats regularly can vastly improve your riding. If you ride regularly or if you have been riding for a long time, you may find that your legs are quite strong and it won’t be long before you are squatting heavy weights. But to squat heavy weights safely, we highly recommend investing in a set of weightlifting shoes. We won’t go into which weight lifting shoes to get in this article, but we have found some great weightlifting shoe reviews online. Just be sure to do your research! The are many techniques that can be used when talking about weight training for horse riding. Weight training or resistance training employed intelligently, can encourage and greatly improve a rider’s athletic traits. Since all athletes will have differing requirements, a generic application such as the one which follows will have to be altered fora rider’s individual needs and will depend on what facilities are available. Should you be preparing for a seasonal contest, you can increase the intensity and time that you spend training so that you are better prepared for a competition. If you don’t compete in specific seasons, then a yearlong workout plan with increases in intensity every couple of months should get the job done nicely. As a rule of thumb for most training plans, do not perform the workouts just before a riding session. This can impair your riding as your legs will be tired from the workout. But you can do them in the afternoon following real horseriding session, or on an entirely different day when at all possible. 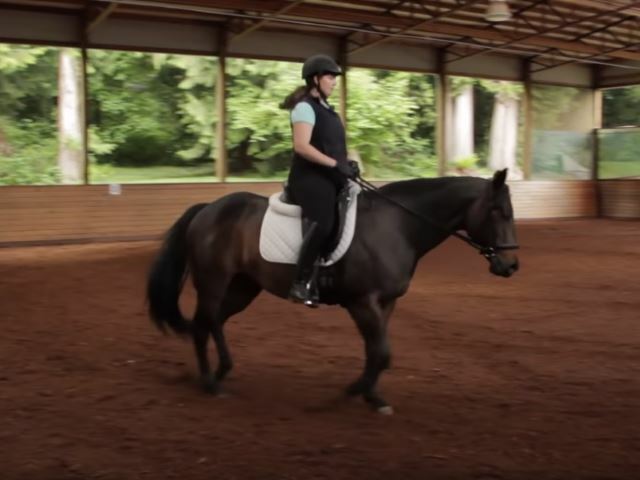 You do not have to be an experienced rider to want to improve your strength for horseriding. But don’t let strength training distract you from the core training when it comes to horse riding. If you are a novice, you will gain more by attending regular horseriding lessons. Perform a strength training session at least once per week. Use your own judgment. As mentioned earlier, do not forfeit technical skills training for weights when you have little time available. Attempt to leave at least 1-2 recovery days between strength training sessions and riding. Always warm up and cool down before and after a training session. This will help with any muscle pain that you might have in the days following a workout. Cease immediately if intense pain is felt during a workout, and seek out medical assistance in the case that it persists.